Sprint up hills, join a Strava hill-running challenge, take part in insanely steep races like the Red Bull Courcheval 400, above. Ok so you're going downhill when you ski or snowboard (unless touring) with gravity lending a hand but uphill exercises strengthen the same muscles you're using - and increase cardio and, therefore, stamina. At the gym up the incline on the running machine. Use the Stairmaster or the climbing treadmill designed for high intensity or low impact fitness and cross fit, Jacobs Ladder. No time for the gym? Use the stairs instead of the lift. Run up and down steps, Rocky style. Take the fast-moving left lane for the escalator instead of standing on the right. Spinning with virtual screens that include inclines and cycling up hills will help to strength your quads, hamstrings, calves and glutes. Doing drills will not only enable you to feel strong, toned, determined and motivated - the essentials for being ready for the slopes - but also greatly improve cardio and your overall fitness. Then there's the hula-hoop which is a seriously effective - and insanely cheap - exercise tool that's not just for kids. It's perfect for working your core and getting those hips moving for skiing. This is playgroound fun that can also be a pretty intense workout and good for coordination because don't just stand there and wiggle. Try hula-hooping clockwise, now anti-clockwise, walk and rotate at the same time and, then, work the hoop up your torso, getting faster. Sweating yet? Bet you're feeling those core muscles. The practice of skiing involves an intense effort over a short period in conditions of maximum 'stress' including cold, altitude, physical and cardio-respiratory. These can particularly affect the thigh muscles plus the tendons and ligaments in both the knee and the ankle. If muscles are not prepared properly, the risk of physical trauma - let alone thigh burn from lactic acid build up - during skiing is very high. 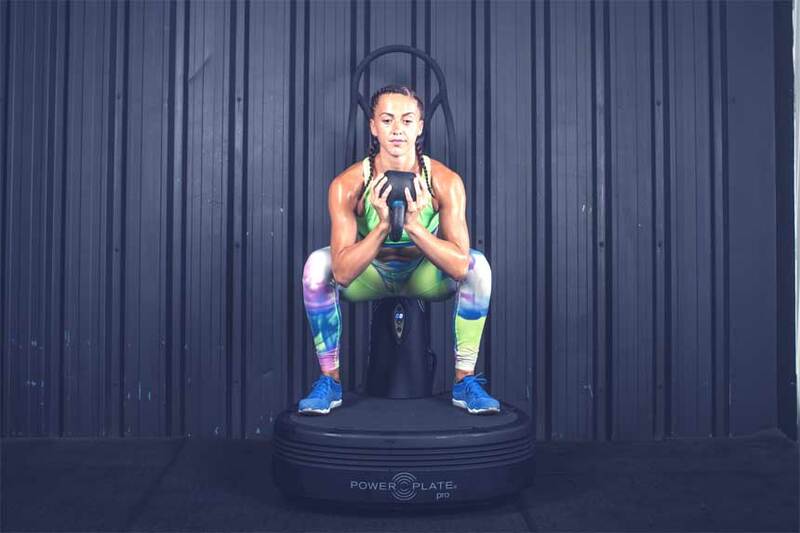 The Power Plate has become the go-to tool to up the body tone via a high-speed workout using vibrations stimulating your muscles to contract and relax. Power Plate vibrations provide a more intensive workout than on stable ground and will reduce the chances of sustaining an injury, the vibrations helping to strengthen the muscles around the joints used when you ski, such as your ankles and knees - in fact, 55 percent of ski injuries occur from the knees downwards according to SOS International. And, unlike many physical training exercises, it feels good, too. You could try the cheaper method of exercising on the washing machine during its spin cycle but the effect won't be quite the same because the Power Plate moves in all three planes (up and down, side to side, forward and back) promoting balance and replicating the movements and forces that skiers might encounter on the slopes. It develops body balance, mobility, stability, and motor control (muscle memory) optimising results by 20-50 percent and significantly reducing recovery time between exercises. Rapid and repeated Power Plate contractions allow for simultaneous cardio-respiratory training to help adapt the body to cold and altitude. A skipping rope is a greatly underestimated exercise tool but it's for a very good reason that it's used by many a pro athlete for improving coordination and warming up the body across many disciplines (see Anatoliy Shabotenko of the Ukraine preparing for the Red Bull Cliff Diving World Series. above). And it's certainly not going to break the bank. As well as developing quads and helping to provide protection for your knees, skipping is perfect for general fitness as it is a bodyweight exercise. The rapid jumping will help you boss moguls, improve coordination and balance, keeping you light on your toes. Think it's easy? Well, you need to up the speed and vary the rope work. Think Hilary Swank as Million Dollar Baby who had to learn to skip rope doing double jumps and cross over arm twists to become super boxing fit. So knock yourself out (not literally) and go cardio hardio by doing HIIS as in High Intensity Interval Skipping. Then hucking those snow-stacked pillows hard and fast on fat skis, pah, no problem. Yoga is great for balance and core. Also mental health. Enjoy the zen atmosphere of relaxing and muscle-challenging poses, so you feel as if you’ve had a full workout, building your flexibility, balance, strengthening your muscles and, added bonus, calming your mind. But mix with cardio to ensure you also have endurance so either sweat it out in the extreme sports discipline that is Bikram yoga or make sure you jog or cycle to the class - and, remember, take the stairs not the lift. 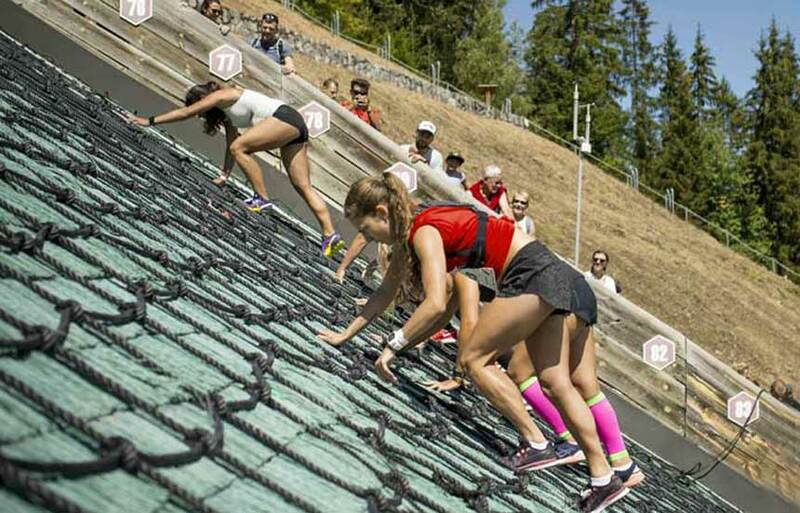 Want more of an adrenaline rush from your mental workout? Then boredom-busting bouldering is not only an effective form of strength and power training plus balance, warming up your cardiovascular, as well as building your muscles, but it can also give you a similar hit of adrenaline as hiking along a narrow mountain ridge. And the same sense of achievement let alone enjoyment (so long as you're ok with heights). Bouldering doesn't require any expensive equipment to buy or rent, except an indoor wall and climbing shoes. The variety of different holds, angles of the walls, and placement of the holds, is also good for mind-clearing and de-stressing while you work out tricky and inventive ‘problems’ that you, as a climber need to solve with your body and mind. 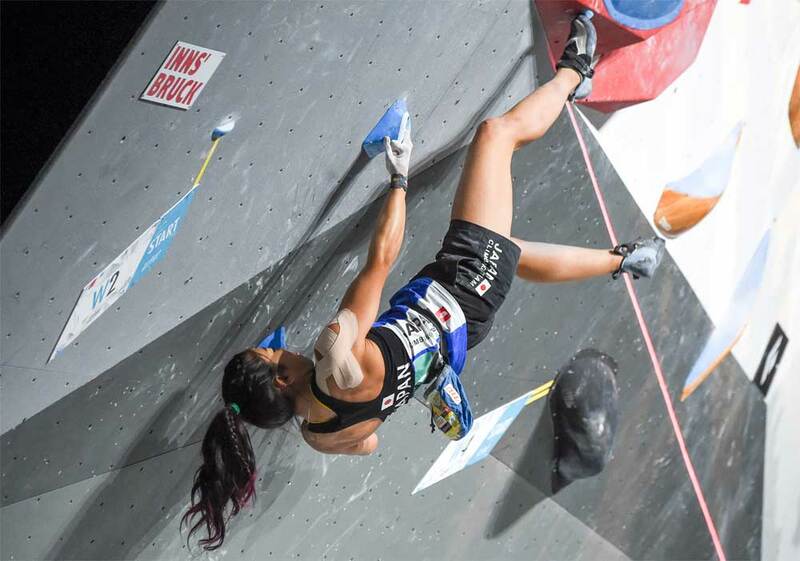 See Miho Nonaka (JPN), above, during the IFSC Climbing World Championships Boulder Final in Innsbruck, Austria on September 14, 2018 whose mind game is obviously climbing upside down. Squats and lunges are the ultimate exercises to train your muscles for skiing and provide protection for your knees, training and sculpting the quadriceps, hamstrings and glutes: When skiing downhill, you typically hold your body in a flexed position, which is leaning forward from the hips. Squats will help endurance and prevent the burning feeling in your legs on long, tough runs and, also build your coordination, balance and stamina. Just sit against the wall and see how long you can hold the position, increasing the length day by day. To make it harder, you can try to incorporate weights in each hand or hold a medicine ball above your head. Someone who's always on the ball, exercise-wise, is GB Olympic snowboarder, Aimee Fuller, above, who uses the relatively simple but incredibly effective fitness ball for her winter training routines improving balance and strength for slopestyle - or just better (as in stronger) style on the slopes. Skiers and snowboarders need stability, strength, power, endurance and flexibility, as well as good technique, which can be built up over time. You can strengthen key skiing and snowboarding muscles on hip adductor and hip abductor machines at your gym using resistance weights, but a less-expensive alternative is to use elastic (resistance) bands for an activation exercise, which helps US skier, Lindsey Vonn, above, work those gold medal winning Olympic legs with TheraBand CLX, so as to carve powerful G-force turns downhill. For most of us, just getting down a gnarly black without stopping from thigh burn, would be a result. Balance on one leg brushing your teeth with your eyes closed. It's not as easy as it sounds. But it doesn't take any more time or money than your usual morning mouth hygiene routine. Try it every day to build your balance. Also practise on a slackline, which you'll find in gyms or you can create, fastening a length of webbing close to the ground between two trees. Balance and do exercises while crossing on the web. Again, close your eyes if you're really confident. 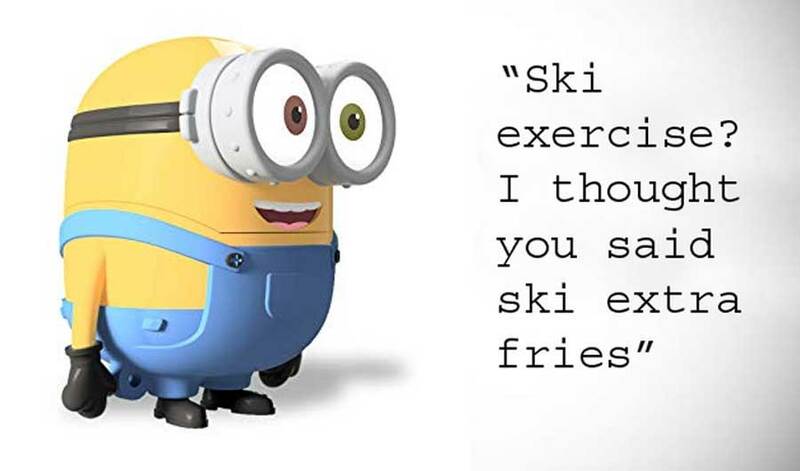 Then lose a ski in deep powder? 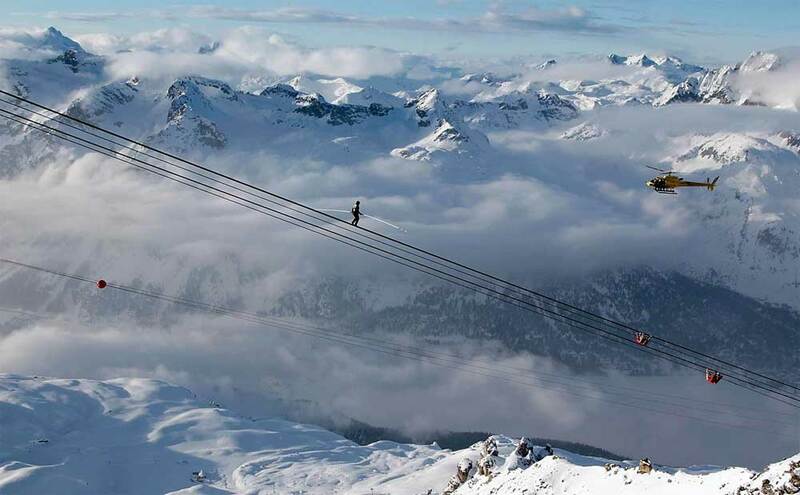 No problem, ski home on one. By Health and Fitness Editor, Siggy Baylis, Sports & Body Massage FHT Therapist. Get in touch via her website here. Editor's Note: If you really want to test your ski fitness see if you can get to number 31 of the simple yet seriously sweat-inducing bodyweight exercises below without resting, bailing - or sobbing. High five with bells on if you can do number 32, too. And send us your video proof for the chance of winning a well-deserved sports massage with Siggy.